I hadn't intended to be confusing. These are fine "working" automatic knives. There are some variants available at Blade Play. They're a good value for the dollar because if anything goes wrong, at any time, as long as you own it, they will repair or replace it for the cost of our postage to send it to them. They will either repair or replace it (at their discretion/choice) at no charge to the original purchaser. Even the Model 7001 assisted opening knives are not "double edged" There isn't a false edge on the back of any of them. Most of their knives are no-nonsense blades with duty in mind. Now that Texas allows autos, Check Blade Play's selection of SOG knives. They're not too expensive, and hold an edge quite well. If you just want a decent auto that won't cost an "arm and a leg" look at the Kershaw Launch 2. If you scout around you can find them for less than $90.00. With a CM154 steel blade that comes "shaving sharp" out of the box, you will be happer than a "speckled pup under a red wagon". Try Blade Play the may have the Kershaw Launch 2 available as I write this. I switch between one or another Kershaw and a Zero Tolerance model 350 (?). By the way the two companies are sort of one and the same, I believe. 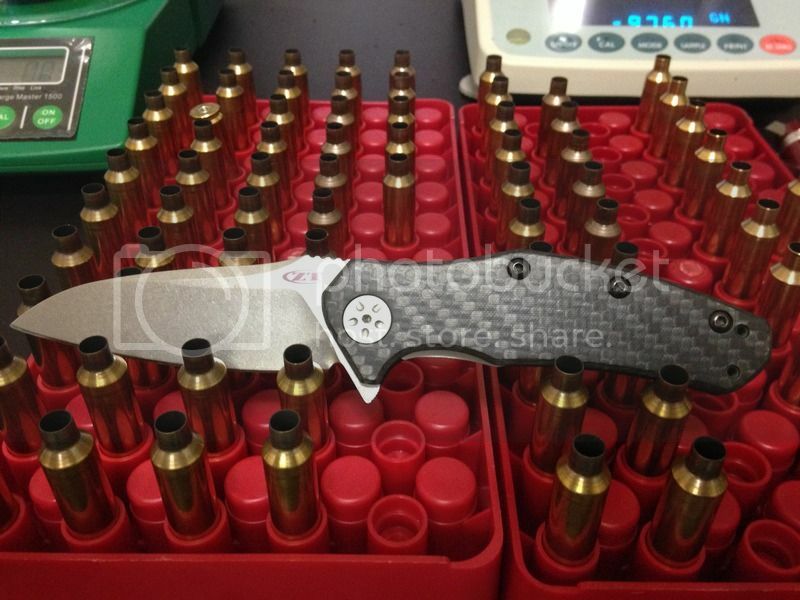 ZT is just the "upscale" side of the operation. All of mine are assist opening folders by the way. 'Whoever said life is fair?" --The motto of my group of shooting pals, when we set up tough practice drills for each other. Still carrying the same Benchmade Griptilian in their sort-of-sheepsfoot plain edge for at least 7-8 years now. Holds an edge well, and the point is still there, but subdued enough to make it easy to slip up against something you don't want to cut. Handy when cutting straps away from stuff or getting it between the skin and a chunk of twine you've gotten tangled in. Gave my ex wife the mini version in day glow green (apparently no longer an option, though there are still some other "non tactical" colors) when I got mine, and last time I saw her she still had it clipped in her pocket. I carried a Dieter CQD MOD MK II auto knife while in South America and Afghanistan. Gave it to my oldest son when we crossed paths in Iraq. Grabbed another MOD, the Mk I, while in Ramadi - passed it to my youngest son. Ended up carrying a Cold Steel Ranger 1 folder for my last year there. Last few years I'm pretty much limited to carrying a 2" blade NRA folder - does everything I need it to. I have several other tactical folders around here somewhere, haven't had a reason to dig them out. Maybe I'll look for them next week. I'm partial to Benchmade knives. I can find them at a lower price when I go to Portland (now 61 miles from where I live) or to Oregon City (74 miles from where I now live). One of these days I'll head on over to the Wilamette Valley and drop by the Benchmade plant. Tell me what you want and I'll see where I can find a good Benchmade knives (at one of the larger chain stores) for less money than you would pay to ship it where you live. I purchase my Benchmade knives at dealer cost. I made River City Gun Exchange (a gun store) the third largest (by volume) Benchmade dealer in California. The owner put me in charge of all things knives. Lately I've been carrying a ZT 0770CF seems to be a nice knife. Kershaw and company makes quality knives... at a price you can afford. Our local Academy is offering Kershaw blades on sale right now. I'm gonna have to give them a closer look!! budroe: Kershaw = Zero Tolerance. (Same church, different pew). I hope you find what you want. It pays to do your homework and to be careful when purchasing a Kershaw knife. They offer high quality knives, pure crap knives and everything in between those two extremes. Every ZT knife I've seen has been high quality.